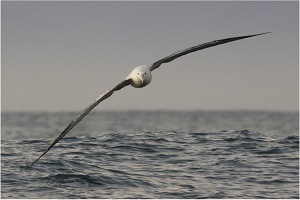 The next talk at Chorleywood and District RSPB Group, is called Saving the Albatross. The speaker is Stephanie Winnard, from the RSPB. This talk is open to the public. Every five minutes, an Albatross is killed by fishing gear. Nesting sites can be destroyed by rats and mice which have been introduced onto islands by man. Plastic in the oceans kills countless Albatross every year. Stephanie will talk about the life style of these magnificent birds, and tell us what measures are being undertaken to save them. The RSPB's research is helping and in many long-line fisheries, in the southern oceans, deaths are being substantially cut. These talks are open to anyone. No need to book, just turn up.